Superdry men's Trophy flip flops. Flip flops are a warm weather essential and the Trophy flip flops are just the update you need. 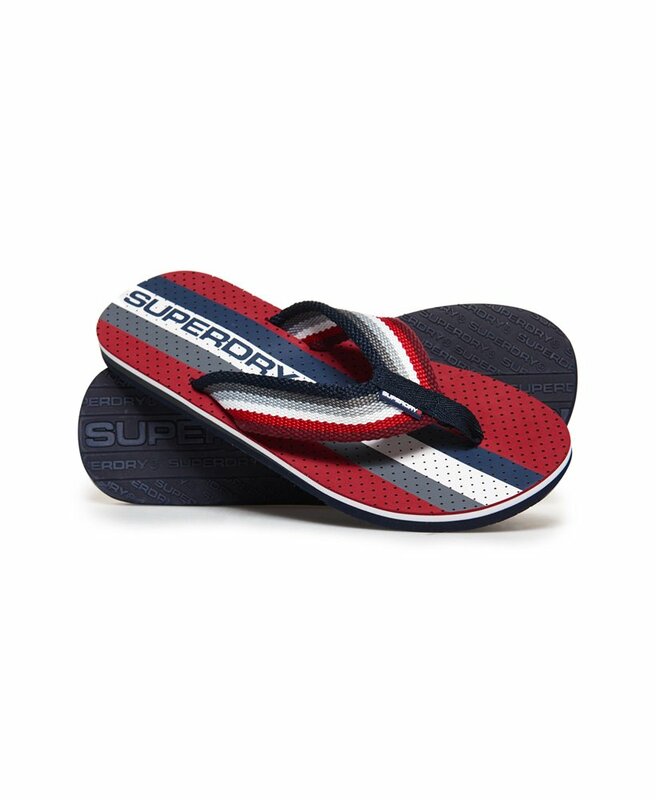 They feature canvas straps for your comfort and a Superdry branded sole. These flip flops are completed with a subtle logo tab on the straps.